How Will New Panthers Ownership Affect Ron Rivera? 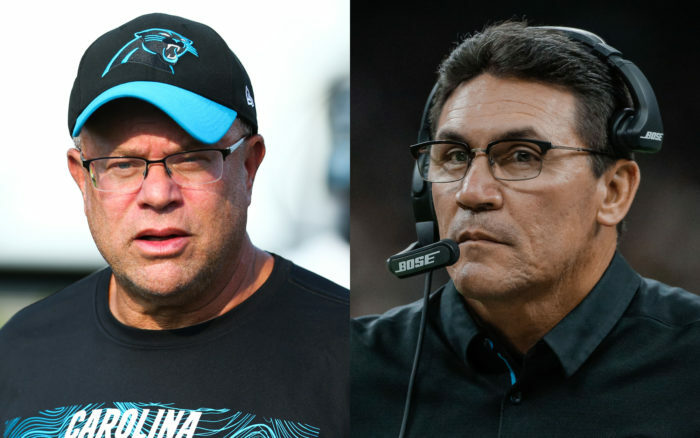 So far, before any games in the NFL’s 2018 regular season have been played, the relationship between new Carolina Panthers owner David Tepper and the head coach he inherits in Carolina, Ron Rivera, could not be better. Tepper is a former Steelers minority owner, and Pittsburgh is the epitome of patience and stability when it comes to coaching, famously having hired just three head coaches — Chuck Noll in 1969, Bill Cowher in 1992 and Mike Tomlin in 2007 — since the start of the Nixon administration. The soft-spoken but well-respected Rivera is starting his eighth season leading the Panthers, and has led the team to the playoffs in four of the past five seasons, twice being named the NFL’s Coach of the Year in his tenure in Charlotte (2013 and 2015). His job security would seem to rank high among his fellow head coaches. And yet, the recent track record of new NFL owners shouldn’t be particularly comforting to Rivera. In the past 10 cases of a team being sold, dating back to 1999, eight of the new owners changed coaches within two years of buying the club. 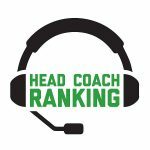 In two of those instances, it was the coach who decided to leave on his own terms, but that’s still an 80 percent turnover ratio within two years, and five times the coach and new owner parted ways after just one season. Terry and Kim Pegula inherited second-year coach Doug Marrone, who proceeded to finish 9-7 in 2014, missing the playoffs. Marrone surprisingly opted out of his contract on New Year’s Eve, then failed to land another NFL head coaching job until being elevated in Jacksonville in 2017. The Bills responded by hiring recently fired Jets coach Rex Ryan in early 2015, but the Pegulas fired him after two over-hyped seasons and a 15-17 record. Jimmy Haslam inherited second-year coach Pat Shurmur, but fired him after a 5-11 mark in 2012, with Shurmur posting a 9-23 two-year mark in Cleveland. The Browns hired Rob Chudzinski in 2013, but canned him after one year at 4-12. Shad Khan purchased the team in early 2012, just after former owner Wayne Weaver had fired longtime head coach Jack Del Rio late in the 2011 season. The Jaguars hired Falcons offensive coordinator (and ex-Bills head coach) Mike Mularkey, who proceeded to last just a single season in the job, going 2-14. When Stan Kroenke assumed total control of the Rams in early 2010, he inherited coach Steve Spagnuolo, who was coming off a dreadful 1-15 mark in his rookie season of 2009. The Rams showed great progress in 2010, going 7-9 and finishing equal to Seattle atop the NFC West, losing a playoff berth via tiebreaker. But when the Rams regressed to 2-14 in 2011, Spagnuolo was fired and St. Louis hired ex-Titans coach Jeff Fisher. Stephen Ross took over full ownership in January 2009, already a year into Tony Sparano’s coaching tenure. The Dolphins had gone 11-5 and won the AFC East in 2008 under their rookie head coach, so Sparano’s job was never in jeopardy. But by 2011, the Dolphins had failed to return to the playoffs, and Sparano was let go after 13 games of what became a 6-10 season. Miami hired Joe Philbin in early 2012 as Sparano’s full-time replacement. Zygi Wilf was approved as the Vikings new owner in the offseason of 2005, and made no immediate changes at the coaching level, sticking with fourth-year man Mike Tice. But Minnesota started poorly that season, then rallied to finish 9-7 but without a playoff berth. Beset by scandals and embarrassments that dotted his tenure, Tice was fired after Week 17 of 2005, with Wilf hiring ex-Eagles offensive coordinator Brad Childress in early 2006. Steve Bisciotti had been a Ravens minority owner under Art Modell, and he kept the status quo when he bought the team in 2004, retaining sixth-year head coach Brian Billick, who had a Super Bowl title to his credit. The Ravens missed the playoffs in 2004 and 2005, but then rebounded to go 13-3 with the AFC’s No. 2 seed in 2006. Baltimore was upset by the eventual Super Bowl champion Colts in its playoff opener in 2006, then slumped to 5-11 in 2007, with Billick being canned after nine years on the job. Arthur Blank retained veteran head coach Dan Reeves when he took over ownership of the team in early 2002, and he was rewarded with a 9-6-1 season that year, with the Falcons registering a historic upset of Green Bay on the road in the playoffs. But Atlanta slid to 5-11 and last place in 2003, and Reeves was let go, with Blank hiring 49ers defensive coordinator Jim Mora to replace him. Woody Johnson assumed ownership of the team in January 2000, the same month the team was going through that chaotic and messy coaching vacancy that followed Bill Parcells’ latest retirement from the sideline. Bill Belichick, of course, was contractually guaranteed to replace his mentor, but memorably resigned the gig after just one day, at his own hiring press conference no less. Johnson then elevated Jets assistant and Parcells disciple Al Groh to the job in one of his first decisions running the club. New York started a hopeful 9-4 that season, then lost its last three games to miss the playoffs at 9-7. Groh stunned the club by resigning shortly thereafter, in order to take the head coaching job at the University of Virginia. Johnson and the Jets responded by hiring Bucs defensive assistant Herman Edward as head coach in 2001. When Daniel Snyder bought the team in 1999, he retained head coach Norv Turner, who was starting his sixth season at the helm, despite no playoff trips from 1994-98. Washington responded by winning the NFC East in 1999, going 10-6 and winning a playoff game at home. But then came the ill-fated “Dream Team’’ roster buildup of 2000, and when the club started just 7-6 that season, Turner was fired after 13 games, with Washington finishing a disappointing 8-8 and out of the postseason. Snyder hired Marty Schottenheimer in 2001, starting a dizzying and disastrous trend where he burned through five head coaches from 2000-2009.